Facebook pages are graduallymovingtowards becoming a small business websites, with multiple features designed to make it easier for businesses to promote their services. According to the company, over 655 million people access Facebook exclusively via a mobile device. Across all devices, over 1 billion people visit Pages every month. Thus keeping this on priority, the new features have been especially designed for mobile devices. Page owners can start using call-to-action (CTA) buttons on mobile. CTA buttons have been redesigned for mobile, with more prominent placement within a business’s Facebook Page. 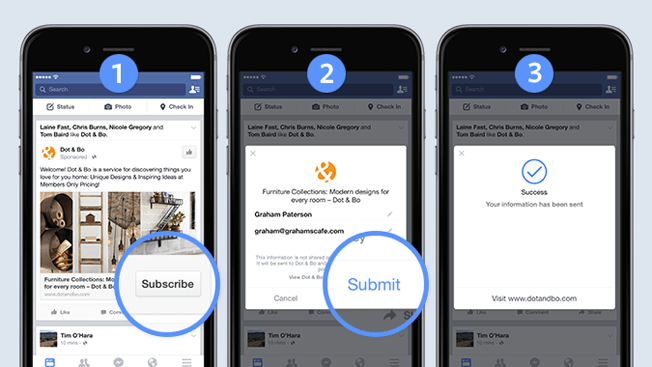 Now Page owners can add new sections, such as Shop and Services that provide new ways for businesses to promote themselves on Facebook. The new Shop section will allow businesses to sell products directly from their Page via the Buy button that was released earlier this year. According to Facebook, in future, it planned to add more sections for Pages and call-to-action options as different types of organizations needed to highlight different information to meet their goals.